Once, I had been an ideological crusader, dead-set on a certain view of family roles, economics, churches, politics—if you could name it, I had an opinion. After a long and painful chapter in my life, I finally realized the tyrant I was rapidly in the process of becoming. For more on that, read my story With Truth and Grace at http://defendingthelegacy.blogspot.com/2015/12/short-story-with-truth-and-grace.html. Disaster was compounded with disaster, and needless to say, this epoch in my life left me in a tail-spin. What did I believe anyway? Was true Christianity connected to a specific view of church or plans for the creation of a just society? What was essential, and what was personal preference? Man proposes, but God disposes, says the old adage. God certainly knew exactly what I needed at this juncture, and He provided. 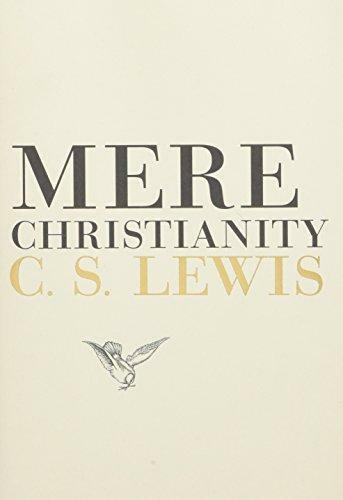 I began to read Mere Christianity by C. S. Lewis. My only acquaintance with Lewis’s writings was his Chronicles of Narnia, and I had read one (short) biography on him. However, I regarded these favorably enough to be willing to read Mere Christianity. Here was a Christian theologian whom I respected, and I was interested to read what he said about these issues. Beginning with the forward, Mere Christianity was exactly what I needed. Here was an author who stated that he was an Anglican, but that more important than a denomination was a belief in Jesus Christ. The book slowly built from a universal human knowledge of right and wrong to a clear and concise explanation of Christian beliefs. Most importantly for me, these were universal Christian beliefs! There was much about the importance of Christ’s death and the importance of faith, hope, love, and prayer. Rather than railing at an anti-Christian culture, Lewis stated that the real enemy we have to fight is our own sinful nature. 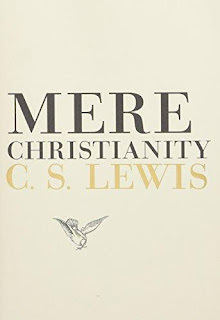 But the most part of Mere Christianity was Lewis’s joyful expectation of the glories and unspeakable delights of heaven—which, he contends, is something that we have had hints or glimpses into on earth. If you have not yet read Mere Christianity, please take the time to find it and read it. It is an excellent book to show the basics of Christianity that all Christians have agreed on for almost 2,000 years. Despite its topic and its size, plenty of deep theological topics are contained inside as well. 5/5 stars.